Is your plant in regulatory compliance? Are your customers demanding more from your food safety program? 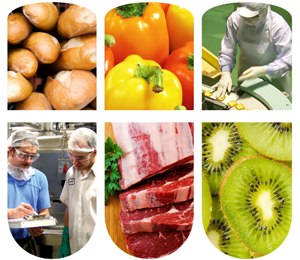 Does your current food safety program identify opportunities to be more sustainable and increase profitability? There are growing complexities in implementing and sustaining a comprehensive food safety program but it is an imperative requirement in food and beverage processing today. Our HACCP-based BrandGuard® Food Safety Program follows the principles of the Global Food Safety Initiative and is a program designed to provide solutions across all aspects of food safety including brand protection and sustainable solutions. Training programs that focus on employee safety, food safety and application training. Sanitation verification and control to offer protection against food recalls. Automation to reduce environmental impact by eliminating waste. Hot water, energy and waste reduction lowering the carbon footprint and increasing profitability. Increased automation resulting in labor savings and waste reduction.